Sterling Land Company has a great reputation for respecting the values of farm properties and getting fair values on the market. If for any reason you have any questions or comments about La Salle County farm real estate, feel free to give us a call at 815-718-2244 or fill out the form to the right and a representative will respond shortly. Our expert brokers and specialized staff can help make the complicated buying and selling process as smooth as possible for La Salle County farm real estate. Illinois farms are responsible for providing food for nearly the entire world with some form of agriculture and the demand will continue to grow. Our experts are passionate about agriculture and have very close ties to the businesses and communities in the heartland. La Salle County farm real estate is also great for recreational activities such as hunting and four wheeling. 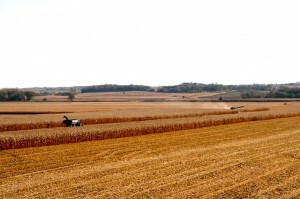 Sterling Land Company is well acquainted with La Salle County farmland and sees the potential for investing in agricultural land in that area. The La Salle County real estate Sterling Land Company has available is considerable more affordable compared to other real estate agencies and we will work with you to get the best for all parties involved. If for any reason you have any questions or comments about La Salle County farm real estate, feel free to fill out the form to the right and an associate will respond shortly or give us a call at 815-718-2244.